The Zarges fibreglass compact platform steps with glass reinforced polyester stiles, offering effective insulation and eliminated spark risk. Ideal for use on electrical installation, as well as other special applications. 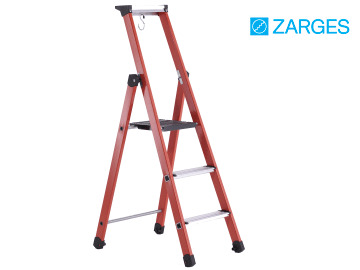 With 80mm deep aluminium alloy treads for comfortable work, and non-slip serrated surface. 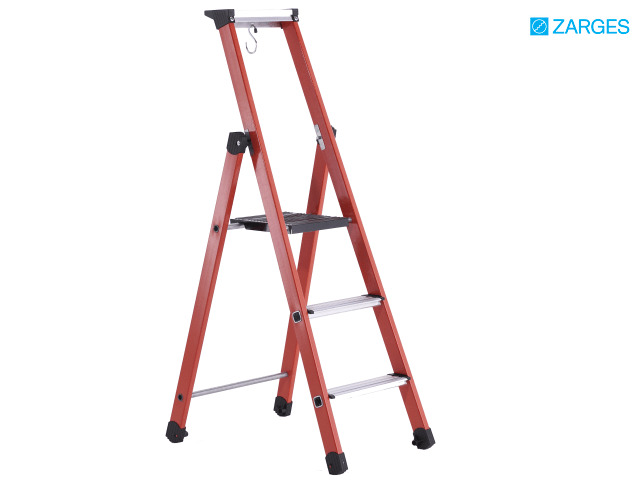 Includes safety platform (250mm x 250mm). Only 8.8cm wide when folded. Ideal for limited storage applications. All sizes conform to EN 131 standards, and have a 150 Kilo rating. Stile depth steps / back stay: 50 / 50mm.